CIRCA 1919 - General Ely addresses troops in France after review. 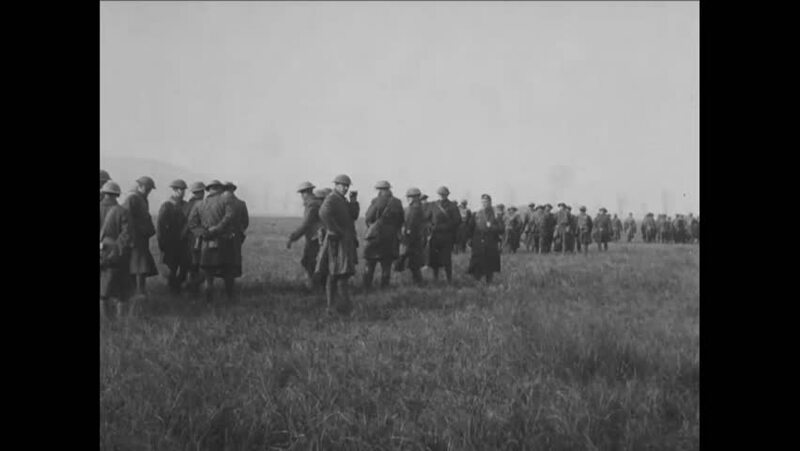 hd01:12CIRCA 1910s - General Robert Alexander confers with officers and decorates soldiers on a field in France in World War 1.
hd01:15CIRCA 1940s - Soldiers went through physical training as army officials planned the invasion of Normandy in WWII. hd00:51CIRCA 1930s - France honors General Douglas MacArthur with great fanfare in the 1930's. hd00:45CIRCA 1919 - American missionaries are greeted by Arab officials in Turkey, and review an infantry march in Mardin. hd01:10CIRCA 1910s - Mongolian or Siberian army troops on horseback charge past the camera. hd00:25CIRCA 1960s - Vietnamese Premier, Ky and Japanese Premier, Sato confer about the Vietnam War in 1967.
hd00:54CIRCA 1919 - Soldiers are decorated by officers on a shoreline in Northern Russia in World War 1.